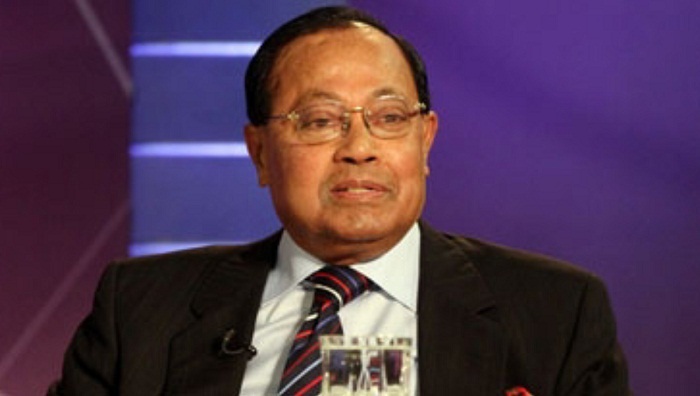 BNP senior leader Moudud Ahmed on Wednesday said their party will present a whitepaper on the ‘irregularities’ of the 11th parliamentary election. Speaking at a human chain programme, he also called upon BNP leaders and activists to wage a united movement to force the government to hold a fresh and credible election within the next six months. “The new parliament which is going into session doesn’t represent people. It’s also not formed with people’s votes. We’ll come up with a whitepaper based on what happened during the election (held on Dec 30),” the BNP leader said. BNP arranged the human chain programme in front of the Jatiya Press Club protesting the start of the maiden session of the new Parliament. Mentioning that they have already turned down the election results, he demanded that a fresh and fair election be held immediately under a neutral government. “If a free and fair election is held, we’ll be able to see a functional parliament, and people will get back their voting rights,” the BNP leader added. Moudud said their party must unite people across the country and have its arrested leaders and activists released from jail to prepare for a new election. “We demand the government quit revoking parliament. Let’s wage a united movement to restore democracy in Bangladesh through holding a fresh election by the next six months,” he added.